This was the first investment by BTRC to establish and facilitate the Imperial College Neuro-oncology Research Group, it still exists and collects tissue from brain tumour patients at Charing Cross Hospital, and is administered under the licence of Imperial NHS Trust Tissue Bank. In 2011 BTRC funded a further £50,000 for refurbishment and expansion of the Imperial Tissue Bank: The initial funding provided by the BTRC has got the Brain Bank off to an excellent staff. More than 600 specimens have been collected for the bank. With the new emphasis on next generation sequencing and our increased recognition of factors that can be found in a blood or serum sample that can be used as biomarkers, together with the growing interest in the way the genes we inherit can influence tumour growth, we are starting to collect a larger number of frozen samples of both tumour and blood. There is also renewed interest from the more general oncology fraternity in the collection of tumours that metastasise to the brain. Investigating how these can be more effectively treated by understanding their biology will be a key focus for research in the future. The newer technologies that will help us understand the molecular detail of our samples are technically demanding and demand higher quality standards. High quality frozen tissue is used as a model for generating hypothesis – the clinical value of what we discover can be ascertained from using less quality sensitive techniques on routine histopathological samples. The ability to assess quality at source, to prevent valuable tissue being wasted by researchers, and to ensure that we can direct samples that do not meet this quality standard to other less demanding technologies is now seen as a pre-requisite for modern tissue banking. The following quotation is taken from Wired magazine in 2010 in an article by Steve Silberman entitled “Libraries of Flesh: The Sorry State of Human Tissue Storage” “One bank at a major university claimed to have more than 12,000 samples of glioblastoma in its collection. Only 18 of those were good enough to use. The rate of unacceptable shipments from other institutions ran as high as 99 percent. 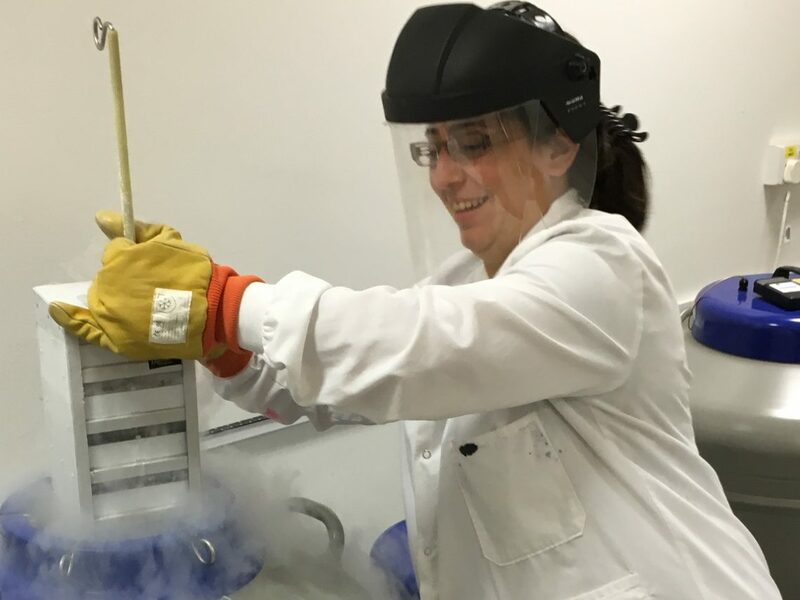 “We originally aimed for 1,500 samples, which we were told we could get from four to six biobanks in the US alone,” says Carolyn Compton, director of the NCI’s Office of Biorepositories and Biospecimen Research, which led the collection effort. “We never made it to 500 samples of glioblastoma, even after asking biobanks all over the world.” The above is a shocking statement but shows how important quality control at source can be. We wish to build a lab that will not only provide facilities for increased storage capacities, but that will be provide space to develop appropriate quality standards for biobanking, and investigate the use of novel methods of preserving human tissue so that a single block of tissue can be used for a variety of different techniques, including high throughput genomics. This will enable us to demonstrate how high quality brain banking can be embedded within routine procedures in the NHS and that molecular pathology will become a priority for stratified medicine for cancer patients in the future.